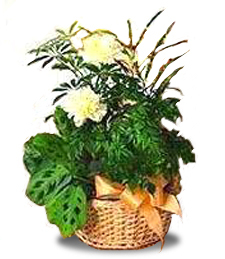 Blooming and Green Plants We also have fresh flowers, roses, gift baskets. 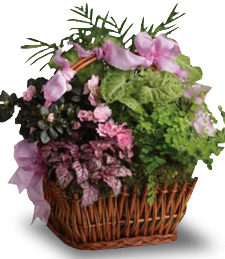 A vibrant springtime arrangement of pink flowers and verdurous green plants, this spectacular array of blooms and greenery makes a simply splendid and special gift! 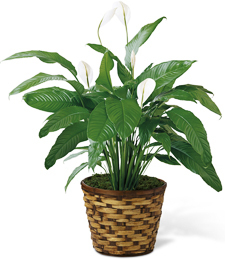 Bliss exists above and below with a brilliant garden array of invigorating green plants to add to any occasion. Lift their spirits like a divine guardian angel shining down on them from the heavens above. Time to take a stroll into the Pondering Gardens of life! 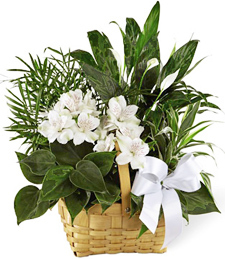 Rich in verdure and vibrant fresh foliage, this arrangement is sure to make a lasting impression on any friend or loved one who receives it. Take a walk of serenity away from the hustle and bustle of everyday life. Wisk away into a state of pure relaxation with the gift of ultra soft velvety blossoms and an invigorating plethora of luscious garden plants. A true calming effect graced in natural beauty! 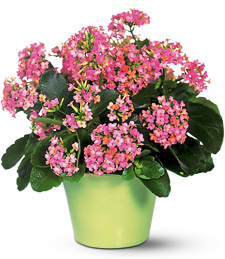 Vivid and lively, this array of rich green plants and vibrant pink flowers creates a captivating and charming assortment! 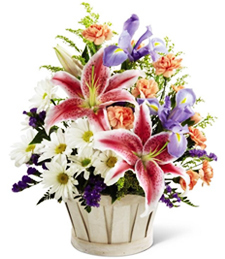 Sweet floral scents and fresh, natural beauty makes this a truly exquisite gift! Touch their heart and soul with the color purple! 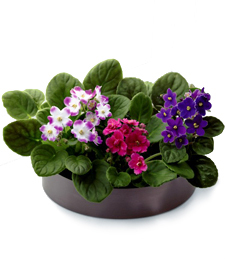 A flair for african violets shines through every luscious petal. 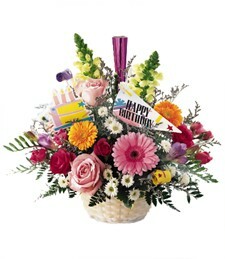 Add a little razzle dazzle to that special occasion for that perfect bit of pizzazz! 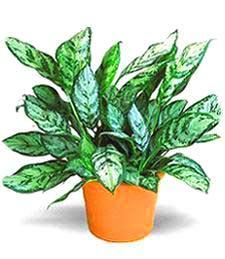 Express yourself with the lovely shape and patterns of a Chinese evergreen potted plant, a wonderful symbol of longevity and honor. Send today! Alive with bright green wonder, this rich and vibrant collection exudes fresh air and warm vitality to your surroundings. 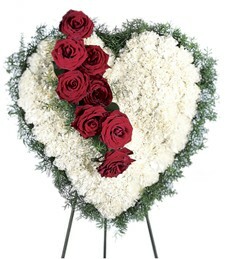 Arranged by a professional florist and topped with a charming bow, this truly makes a most thoughtful and poignant gift. Send today! Open up to a surprise of a basket of lavish treasures! 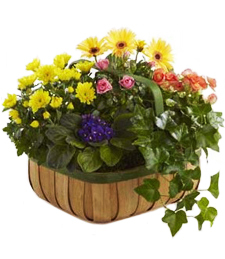 Let the artistic presentation of assorted garden plants in the perfect shades in the colors of the rainbow charm them from head to toe! 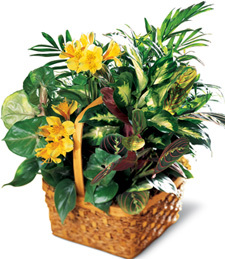 Vibrant and tropical, this lush arrangement of verdurous green plants brims with natural beauty and radiance. 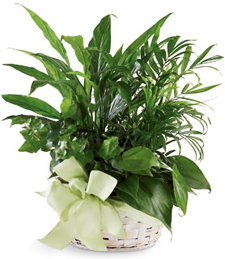 Rich and vivid, this array of greenery makes a memorable and splendid gift! 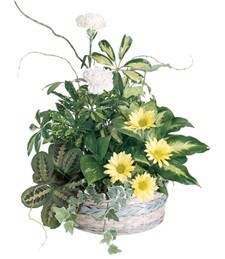 Garden Basket with Yellow .. Darling and delightful! Add a touch of poignant joy with these richly vibrant greens complemented with sunny bright carnations. 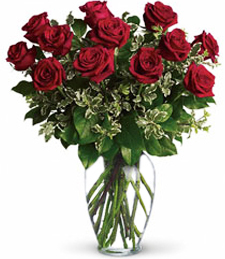 Spread the cheer---send flowers today! 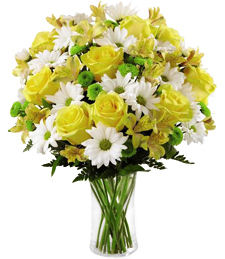 Tranquil, pure, and freshly exquisite, this sparkling bouquet radiates becoming beauty, refined grace, and magical splendor. 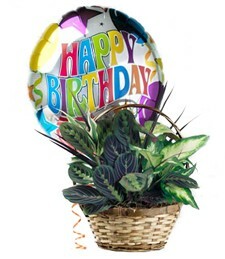 Wish a very special someone a very Happy Birthday with this beautiful potted plant arrangement! Lush, rich and verdurous, these greens radiate natural beauty, while a Happy Birthday mylar balloon expresses your wishes with bright cheer! 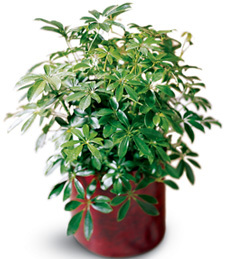 Glorify the moment with Invigorating Pleasures of a charming blooming plant to set their sights on fire! 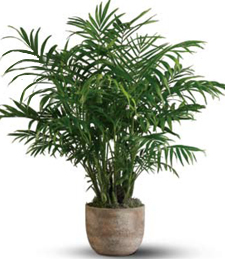 Inhale that fresh ocean breeze with a whiff of a fresh garden plant to cleanse your mind and soul. 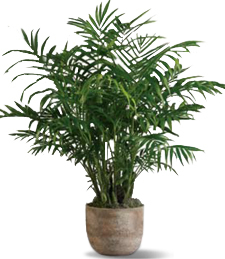 Enter the exotic world of mysteries and have life In The Palm of Your Hand with a purifying palm plant to show your gratitude for that special someone. Take away all their worries with a token of your affection! 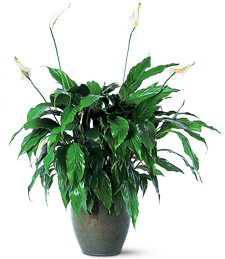 Indulge into a bit of sweet serenity with a perfect display of that luscious peace lily. Sit back and relax and enjoy the day into that state of zen meant for that special someone. 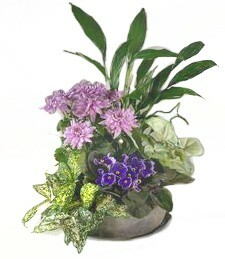 Radiant and lush, this exquisite blooming plant arrangement showcases nature's beauty and vibrance in a big way! What a memorable, heartfelt gift! 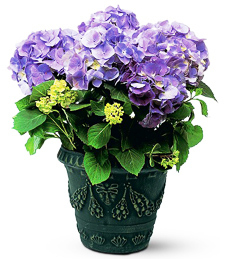 Give them that perfect display of affection with a vibrant blue hydrangea to make them think of spring! Thriving with exotic warmth, this garden arrangement of blooming plants beautifies the room with colorful grace and breathtaking artistry. A truly thoughtful gift!